It is one of the vital principles of Islam that emphasis must always be put on togetherness the practice of which has been continuing since the emergence of Prophet Adam (peace be upon him) for whom it was quite impossible to survive without a mate and in consequence of which the All Knowing sent Eve (Hawa) (peace be upon her) as his soul mate and life partner. Starting from living in the Paradise to the earth they survived for each other heart to heart, soul to soul. Hajj or the holy pilgrimage is that form of worship for the Muslims which upholds the philosophy of unity and togetherness. Every year for a single moment Muslims from all around the world irrespective of race, class and colour appear in Makkah to prove that there lies no distinction and all Muslims are the members of the same community. Equality is ensured and all distinctions are forgotten in the Hajj premises through their wearing of the same uniform called Ihram and their speaking loudly in chorus the meaningful line Labbaik Allahumma Labbaik. 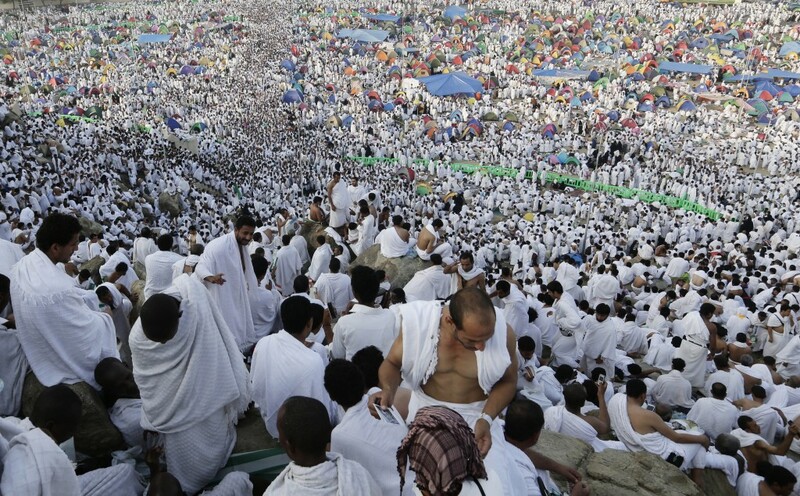 Though Hajj is not compulsory to all the Muslims rather mandatory only upon those having the capacity to perform it but it is proved through the performance of it by the wealthier class that there is no scope of accumulation of property in Islam rather it discourages all kinds of accumulation and thus equality and proper balance between the wealthier sect and less wealthy people is ensured. In other words, social justice and equity will be confirmed if with proper feelings and realizing the true spirit Hajj is performed. The magnificent cubic structure (The Holy Kaba) carries a great importance surrounded with an ancient history related to the evil forces of Abraha and their destruction which still cause trembling to the hearts of those who realize the inherent message of such history with insight. Moreover, those who appear before this holy cubic shrine and create the enormous get-together for the sake of the Creator’s satisfaction can fully understand the true spirit of their appearance with their heart. Feelings of love, unity and tranquility are spread around and fill the entire atmosphere with peace and harmony. When the matter of Hajj comes before us Prophet Muhammad’s (Peace be upon him) last pilgrimage sermon becomes very much relevant here. Why not? His sermon contained that judgment through which all sorts of injustice were eliminated and rooted out from the society. How beautifully he established equality between the black and white and between the master and his servant and removed all pre-existing discriminations! Such topics are nowadays discussed all around the world in the form of human rights which was actually established 1400 years ago by the best human being of the world. 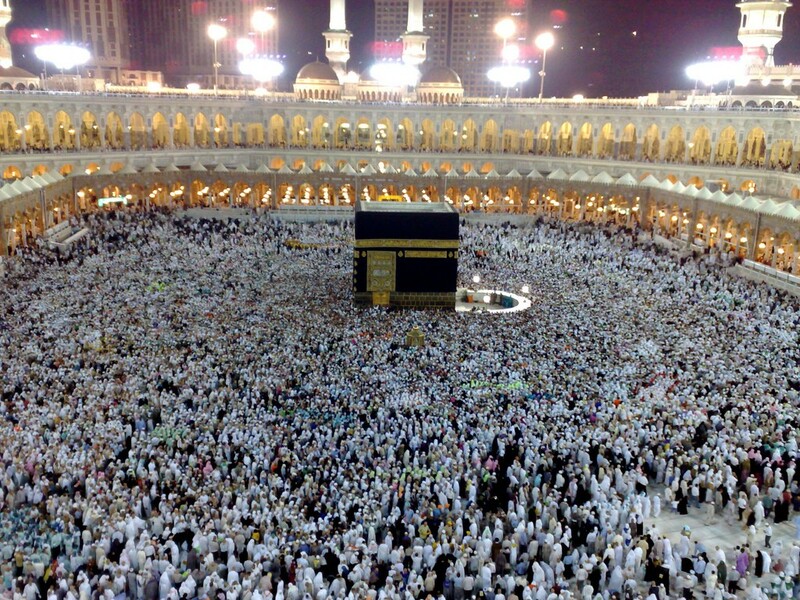 “This day have I perfected your religion for you and completed My favour unto you, and have chosen for you as religion Al-Islam.” (Al Qur’an, 5:3)- The last pilgrimage of Prophet Muhammad (peace be upon him) is really a very significant moment in Islamic history when the religion of peace, Islam was bestowed with completeness from the All Powerful and reward was confirmed for those who would wholeheartedly enter into this religion and thus get a shelter in the shade of peace and harmony. For the true believers this worldly life will be filled up with innumerable blessings and in the Hereafter he will be gifted with such returns which no eyes have ever seen, no ears have ever heard and no mind has ever imagined. The Almighty God loves those who are firmly habituated with making sacrifice either economic or physical. The holy pilgrimage provides the golden opportunity to make sacrifices of both forms and to be a lovable servant in the eyes of God. Certainly how much enjoyable every moment spent in Hajj is can only be felt by that person who performs it maintaining purity of his intention (Niyyat) and because of upholding honesty in performing this blissful task surely he will be rewarded with the best return from the Most Beneficent. The spirit of Hajj can also be better understood if anyone making proper implementation of his inquisitiveness and wholeheartedly move forward to perform this holy task for the purpose of ensuring his own sanctity. “Hajj and Umrah remove misery and sin from our life like a furnace which removes the waste from iron, silver and gold. The virtue of Hajj-e-Mabur (accepted Hajj) is Jannah.” – This saying of the leader of all prophets (peace be upon him) is indeed very much inspiring for those seeking to make their journey to perform one of the vital pillars of Islam, Hajj. In order for his Hajj to be accepted he must follow appropriately all the directions made by the Almighty and His messenger. After performing it he must not remain free of tension rather he should make frequent self-criticism whether all the procedures he followed were in the right manner and if unintentionally any mistake is committed by him then without making any delay he should repent to the Most Merciful as He is all the time prepared to make response to those who repent. The conflict between the Shia and Sunni communities is going on all around the world which is indeed a great threat to the unity of the Muslim Ummah. If Hajj is performed realizing its core spirit and with a proper understanding of its philosophy remaining above sectarian mentality and making a proper get-together before the holy Kaba forgetting all previous hostilities then surely this will lead to the solution of all sorts of existing contradictions among these two sects and thus it will be highly fruitful to the Muslims to remain together as a strongly built wall. The duty of the pilgrimage performers will not achieve its completeness only through the performance of some certain rituals until and unless they spread the message of brotherhood and unity around the world in order to bring an end to all the ongoing hostilities taking away thousands of lives. 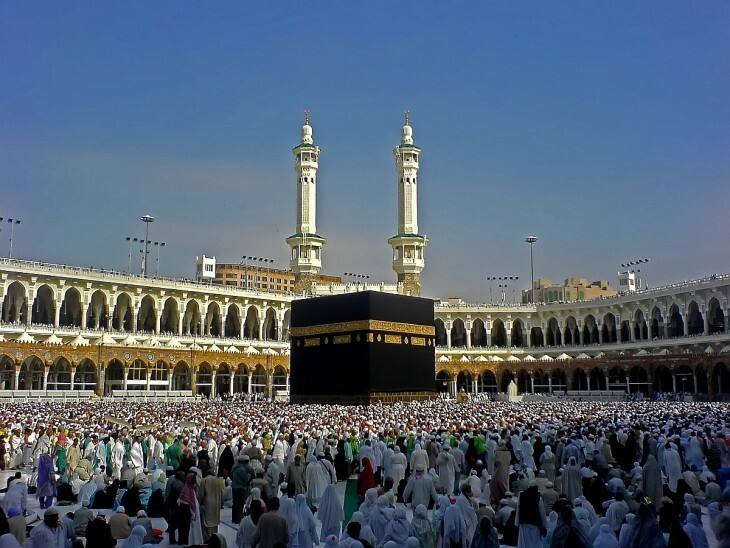 Today it is seen that many people perform the holy pilgrimage either to insert the title “Alhaj” before their name so that they can be valued ‘specially’ by the people living around him in the society or to make a mere show off which causes serious distortion to the underlying philosophy of this marvellous form of worship. Moreover, it is also very much unfortunate that where it is deserved from the Saudi authorities that they will make ease for the people eager to perform Hajj, instead of doing so they are frequently doing dirty business with the curious people taking the scope of their religious emotion and soft-mindedness and in the name of providing so called opportunities. As a consequence, those who can invest a lot behind the Saudi authorities can only get the scope to perform Hajj and those who decide to do so in a lesser cost have to be victimized of endless sufferings. Because of performing Hajj with a pure intention and following the right manner the devotee will be able to achieve purification like a newborn baby. How much Merciful the Creator is that because of His creations’ appearing before His house after passing over a number of hardships He has become prepared to give reward to them in an equitable manner and thus it symbolizes that nobody is capable of doing justice in the same way as the Almighty does. Anyone who holds the capacity to perform this significant form of worship should move forward to do so as soon as possible without waiting for his old age as performing of Hajj requires a huge amount of physical and mental energy and bearing the glad tidings in return of it in his mind. If all procedures are accomplished in such manner as directed by the All Hearing then obviously the devoted servant is going to be rewarded with the best return both in the worldly life and in the Hereafter. It’s a direct promise from God.